Why Do You Need Our Negotiation Coaching & Consulting Services? 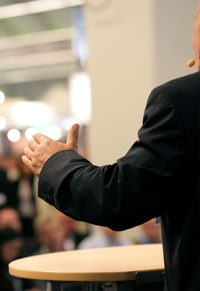 Common Ground Negotiation Coaching will dramatically improve your negotiating skills. Common Ground offers a variety of personalized coaching relationships to suit your needs. Our Coaching Services can be integrated with your in-house Negotiate to WIN workshops, or provided independently. Working directly with a Common Ground Coach is one of the best ways to improve your professional and personal negotiating skills. Our negotiation coaching relationship begins with an extensive intake session where a list of objectives and specific goals are defined. Then we work to that list. In most cases, a coaching session is held weekly thereafter to ensure that you are making appropriate progress towards your goal. In between these weekly sessions you will stay in close contact with your coach via email or phone. Most of our negotiation coaching is done through pre-scheduled appointments for minimal impact on your busy schedule. Coaching Services are limited to individuals and small groups and can be conducted face-to-face, online, through video or audio conferencing or by phone. Arrangements can be made for more frequent, less frequent, shorter or longer sessions. Provides an in-depth and realistic assessment of negotiating strengths and weaknesses with a personal development plan. Identifies the gap between your current negotiation capability and where you want to be; and coaches you across that gap. 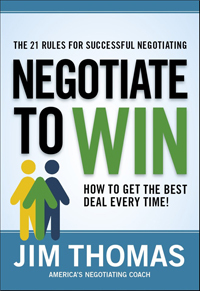 Determines what keeps you from negotiating effectively and helps you overcome those obstacles. Confirms your progress on a regular basis to help you meet your goals. 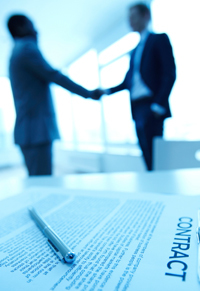 Our Consultants will guide you through your most difficult negotiating challenges. Common Ground Consulting Services can be integrated with your in-house Negotiate to WIN workshops, or provided independently. Our experts consult with organizations and individuals worldwide to develop targeted, practical solutions they can use in today's complex negotiating environment. They use an interest-based approach to identify and merge the true interests and motivations of the parties, helping you avoid traditional, more adversarial methods of resolution. They quickly illuminate key leverage points resulting in strategic, creative and accurate answers to negotiating issues. Common Ground Consulting will help you settle and prevent disputes and conflicts and guide you through the most difficult situations to reach an exceptional outcome. Our services are provided on an hourly, daily, weekly, monthly or fixed-fee basis depending upon the nature and scope of your project. As always all consulting sessions are held in the strictest confidence. Prepare agreements that reflect the interests and needs of all parties. Coaching and Consulting from Common Ground will result in life-long benefits for you and your company. Fees for our Coaching and Consulting Services vary depending upon the coach or consultant selected; the format (face-to-face, video conference, audio conference, phone or email); the number of sessions; the duration of sessions; the frequency of sessions; and the number of participants. Hourly, daily, weekly, quarterly, and annual packages are available.